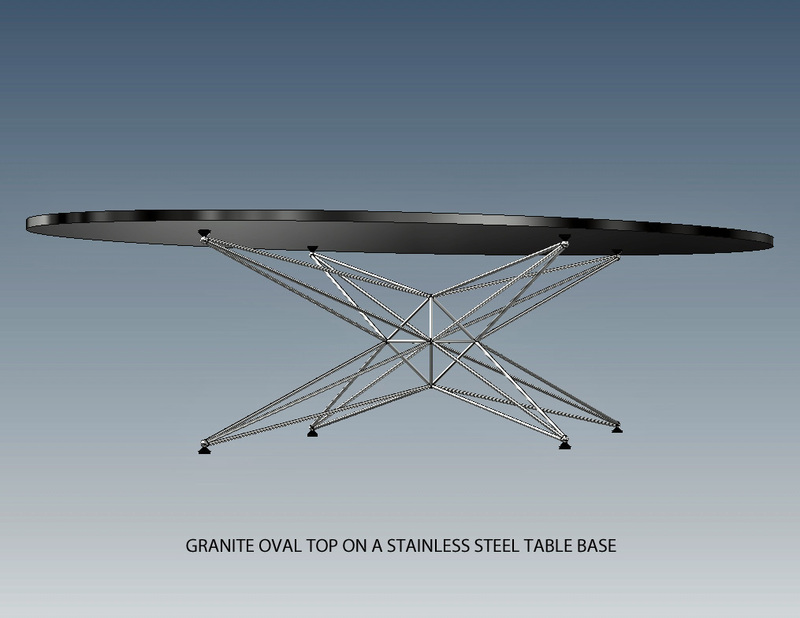 An oval top table base is an 8 arm table base designed for oval and narrow rectangular tops. 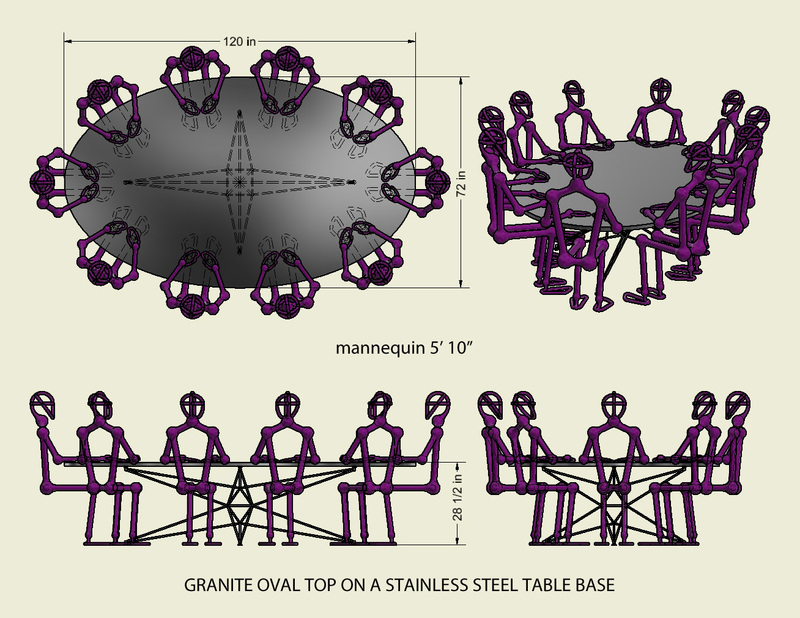 Welded from 36 pieces of steel rod and 14 steel balls it forms a monolithic sculpture that is thoroughly detailed and finished. As a testimony to the craftsmanship and in respect to the aesthetic qualities of the steel, the base is left in its natural state of color and waxed. 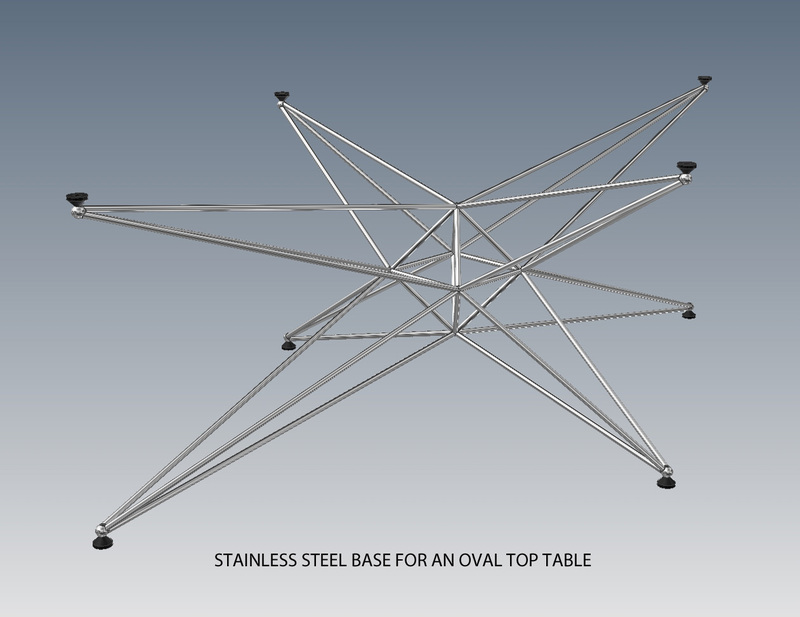 Threaded holes in the ball ends of the base’s 8 arms serve as attachment points for hardware that is purpose designed and built for a given application of the base. 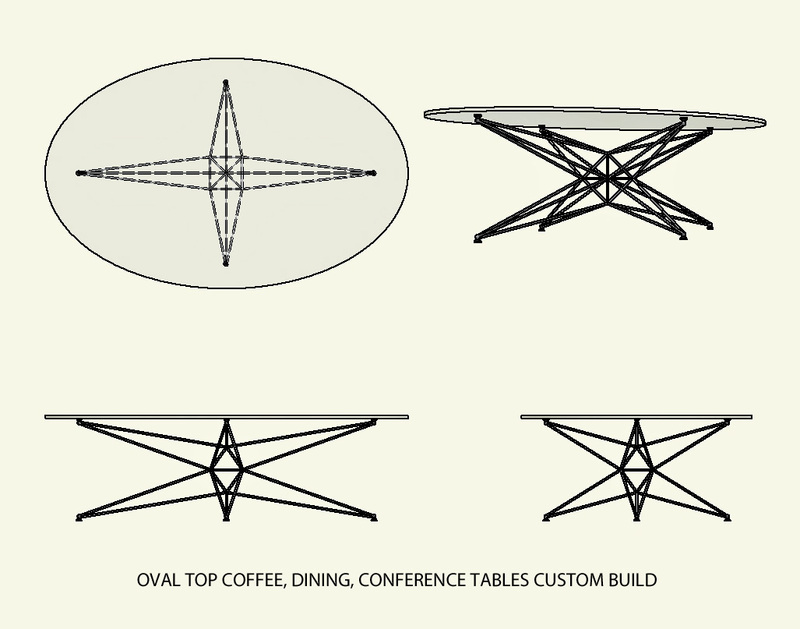 Custom build as a coffee, dining or a conference table base, it will carry tops made of a wide variety of materials. Available in cold drawn carbon steel or stainless steel.